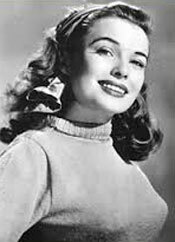 Beautiful, petite with a dynamite figure, Lois Collier arrived in Hollywood through a contest won while still in school. “My grandmother came out with me because I was too young to be by myself.” She was given a part in Monogram’s “Women Must Dress”, billed as Madelyn Earle—real name Madelyn Earle Jones. 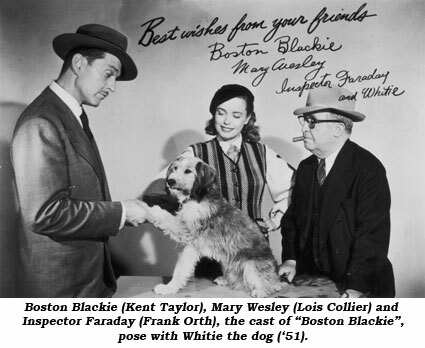 After several more small roles, Madelyn played a character called Lois Collier on a radio show. She liked the name and kept it for the remainder of her career. 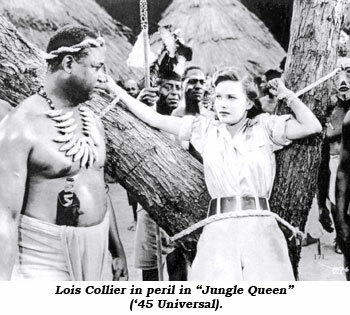 Born March 21, 1919, Collier was 80 when she died on October 27, 1999. 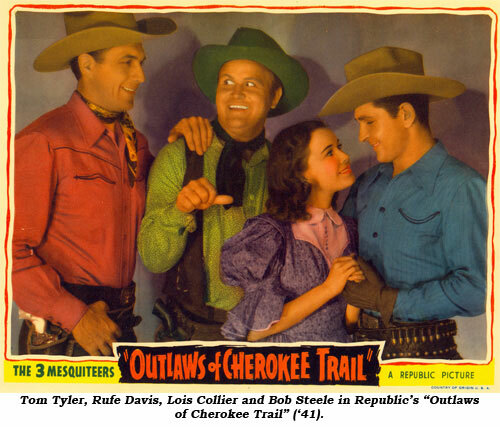 Movies: Outlaws Of The Cherokee Trail (‘41 Republic)—3 Mesquiteers; Gauchos Of El Dorado (‘41 Republic)—3 Mesquiteers; West Of Cimarron (‘41 Republic)—3 Mesquiteers; Raiders Of The Range (‘42 Republic)—3 Mesquiteers; Westward Ho (‘42 Republic)—3 Mesquiteers; Phantom Plainsmen (‘42 Republic)—3 Mesquiteers; Santa Fe Scouts (‘43 Republic)—3 Mesquiteers; Wild Beauty (‘46 Universal)—Don Porter. 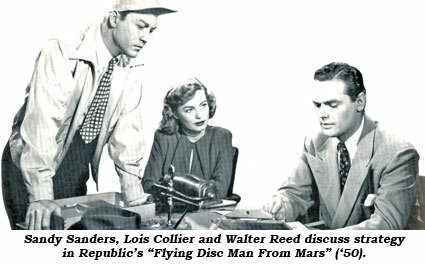 Serials: Jungle Queen (‘45 Universal)—Edward Norris; Flying Disc Man From Mars (‘50 Republic)—Walter Reed. 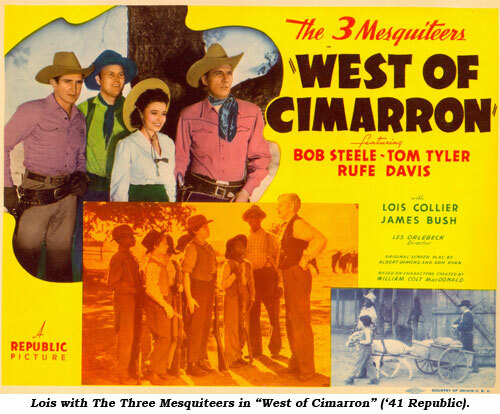 TV: Cheyenne: West Of The River (‘56); Broken Arrow: Johnny Flagstaff (‘57).